The versatility of the Hallingdal region is remarkable, with easily accessible cycling trips for every age and ability. Whilst Rallarvegen is the most popular cycling route, there are plenty of other exciting cycling opportunities. The proximity of the world famous fjords allows you to ride national tourist roads along the Hardangerfjord as well as crossing mountain passes in Hallingdal – all in one stay. There are numerous trails for mountain biking as well as lots of downhill adventures, and not just for the experts: many places are suitable for the whole family. Whilst Rallarvegen is the most popular cycling route in all of Norway, there are plenty of other exciting cycling opportunities. The proximity of the world famous fjords allows you to ride national tourist roads along the Hardangerfjord as well as crossing mountain passes in Hallingdal – all in one stay. There are numerous trails for mountain biking as well as lots of downhill adventures, and not just for the experts: many places are suitable for the whole family. First class rides deserve first class accommodation. You can have your own Norwegian cabin as a base for your stay, or pick among the region's many Cyclist Welcome accommodation options in Hallingdal. Hallingdal offers mountain biking with stunning contrasts – from high mountains, with panoramic views and dramatic waterfalls, to the majestic fjords. The region's versatility is remarkable, letting you choose between easily accessible cycling trips where families and novice bikers can enjoy picturesque rides in flat mountain terrain with stops at charming mountain farms serving local specialties. Hallingdal holds miles and miles of marked trails. Here you will find epic and authentic mountain bike adventures in a picturesque Norwegian landscape. In Hallingdal you can experience mountain biking like a local. In Hallingdal there are plenty of singletracks to be explored. Take your bike anywhere in the region and you will find unique and wild mountain bike terrain for the experienced mountain biker. The downhill options in Hallingdal are superb. The trails are suitable for both experienced and novice riders as well as families. It is a perfect place to try out downhill biking for the first time as well as to build skills and confidence. Nesbyen is Norway’s hot spot for shuttle based downhill biking. The natural trails here distinguish themselves from the machine build bike parks found elsewhere in Europe, giving you a truly Norwegian downhill experience. 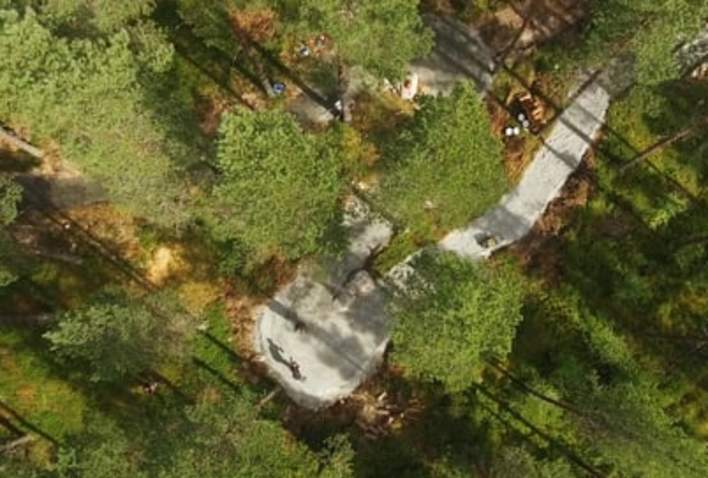 Slåtta Bike Park in Ål is build for the annual bike spectacle Hillbilly Huckfest. Throughout the summer the park is open for the public with lift assisted riding.